Help a Cardigan in Need. Meet Cardigans and many other breeds at dogshows! 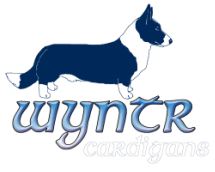 The Cardigan Commentary Website An international collaborative website which has a huge amount of information about the breed. Corgi discussion groups for performance can also be found on Facebook. Additional group on Facebook where breeders share info on puppies and adults they wish to place. Tales From the Green Valley a 12 part 1/2 hour series about life on a Welsh Hill Farm. Caws Cenarth Award winning Organic Welsh Cheese with a corgi on the label. Ceredigion, Wales Travel Guide See information and photos of this region.